Following is Pastor Todd’s summary of our congregational council meeting last Sunday, June 1, 2014. The congregation has until June 15, 2014, to vote on the following motion: Conditional on financing approval and the approval of BIC Canada, that Westheights Community Church commence with the Greater Things building project and secure financing for the cost of the project which is currently set at $938,000. Ballots and ballot box can be found on the literature table in the sanctuary. Over the past three years, as our church has continued to grow and space has filled up, we have been praying about what to do. I can say that doing nothing has never been an option for the leaders at our church. 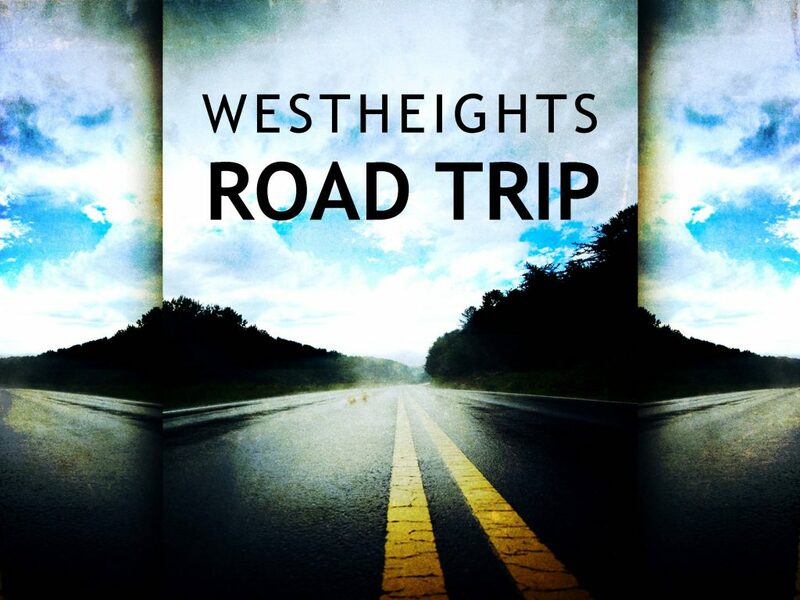 We have been seeking God’s guidance about what would be best for His church at Westheights. For the past three years we have gone through a process as a congregation of discerning what the needs of the church are and how best to meet those needs. After considering many options, and with excellent feedback from many Westheights congregants, it was proposed that a renovation to the facility was the best way forward. As a result, it became our goal to absolutely maximize the footprint of space in our physical plant in every way possible. The resulting plan was two-phased. Phase 1, the Usability Phase, will involve adding 25% more seating in the auditorium, 65% more foyer space and 75% more children’s classroom space. Phase 2, the Accessibility Phase to be completed by the year 2020, will involve adding a lift, improving the entrance into the building and enlarging the stairwell to the children’s ministry area in the lower level. If you have not done so, visit greaterthings.westheights.org for floor plans of Phase 1 and Phase 2. After a long and beneficial process, we are now at the point of launching the building renovation. Unfortunately as the final tendered quotes arrived in recent weeks it was apparent that the cost of the Greater Things project had risen significantly. In fact, the final tendered costs were at least 25% higher than the original estimates provided to our church one year ago. This added $140,000 to the original Greater Things budget. As well, an additional cost was appended by the City permitting procedures very late in the process (stormwater management is now required at a cost of $30,000). Therefore, the total budget for Phase 1 of Greater Things is now at $938,000. If you feel disappointed or angry about the escalation in costs, I understand. I had similar feelings upon hearing that the costs of the original independent estimates were inaccurate. Thanks to the generosity of the people of Westheights the project can still move forward and the leaders of our church still believe that this is the best option for Westheights Church. In order to proceed we are planning for a mortgage of $340,000 for the amount required above the $600,000 in pledges and commitments from the congregation. The $600,000 will be handled through a line of credit over the remaining 2.5 years of the 3 year pledge term. All of the financing will be handled through the Mennonite Savings and Credit Union (MSCU). The mortgage will be amortized over 20 years (to ensure we can handle the payments adequately) but if our track record with mortgages holds up, we anticipate and hope that we will pay the mortgage back much sooner. Now that we have tendered quotes we can have much greater assurance that the costs will not increase unless we choose to make additions or revisions to the scope of the work or unknown factors develop. To combat any additional cost creep, we have a contingency fund in the project and also added $5,000 to the budget for the provision of biweekly monitoring of the project to ensure cost containment. The current proposed changes do not alter our desire and belief that we can achieve the 20/20 vision (Phase 1 and Phase 2) for our facilities over the next seven years. The mortgage does not mean we cannot proceed with Phase 2 at the appropriate point. It simply means that at some point, after Phase 1 is complete, we will need to consider a new fundraising campaign that would remove any outstanding debt and also raise the funds required for the Phase 2 Accessibility plan. The response of the congregation at the meeting last Sunday night was phenomenal and very encouraging to me. People were very understanding of the nature of rising project costs and accepted the fact that this is still the best option for our church. Over the next two weeks we are asking the members and nonmembers at Westheights to vote and indicate their position for the final budget of $938,000. Please pick up a ballot on the information table and submit the completed form in the ballot box by Sunday, June 15, 2014. As costs increase it is understandable that you may ask if it is worth the costs we are talking about. It all depends. If our mission is to be a church that’s perfectly designed for the people who already attend, then we don’t need enlarged kids’ space, better accessibility, or more sanctuary seating. But if we want to continue to be a church that is helping people to find and follow Jesus, then yes, it’s worth it. From my perspective, this is not a “nice to have” option. Personally, I have never wanted to raise money for, or give money to, something that’s not mission critical. I believe the Greater Things project allows us to fulfill our vision. That is why we’ve been working on this for three years. I believe it is worth every penny and now it is time to start. Thanks again for your very generous support of the project. Beginning on Sunday, June 22nd we are going on a road trip as a church. We will be holding our services at Victoria Hills Community Centre (10 Chopin Drive) located at the corner of Chopin and Westmount, just five minutes from Westheights Community Church. This will be an exciting time as we work together and operate as a mobile church. Many churches do this every Sunday and I have always wanted the experience of a portable church. We have such an amazing group of volunteers that I am fully confident that we can work together and successfully operate as a portable church. We will need lots of help so please sign up this Sunday and pitch in and help us as we vacate our facilities for the next four to five months. Working together in our mission and in our community to further the kingdom of God in this world. Thank you Todd, for outlining this project. I do hope people read & keep engaged. I volunteer as a hall monitor once a month & see what a wonderful group of children & parents coming to Westheights.. but.. we DO need more space. Yes, we are on a mission & I’m glad I’m part of it……even if I am limited in what I’m able to do.